Peter Hepburn, Chief Executive of Cats Protection, called for action for pets at a recent Eurogroup for Animals’ event in the European Parliament. Peter explained that although millions of cats and dogs are well-cared for, sadly, too many are still seen as purely a source of income, being used solely for breeding for commercial trading. 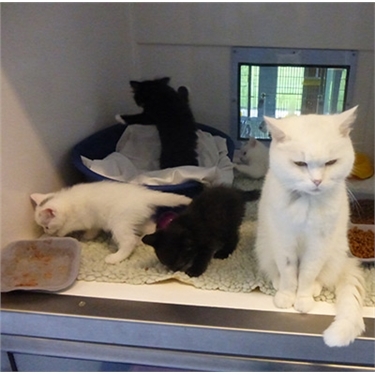 For example, one cat and her kittens came into the care of Cats Protection, after she had been used for breeding over and over again. It’s a devastating tale which emphasises why it’s so important that the European Union establishes effective control of this trade, for the benefit of cats, dogs and their owners. To read Peter Hepburn’s full speaking notes - click here.